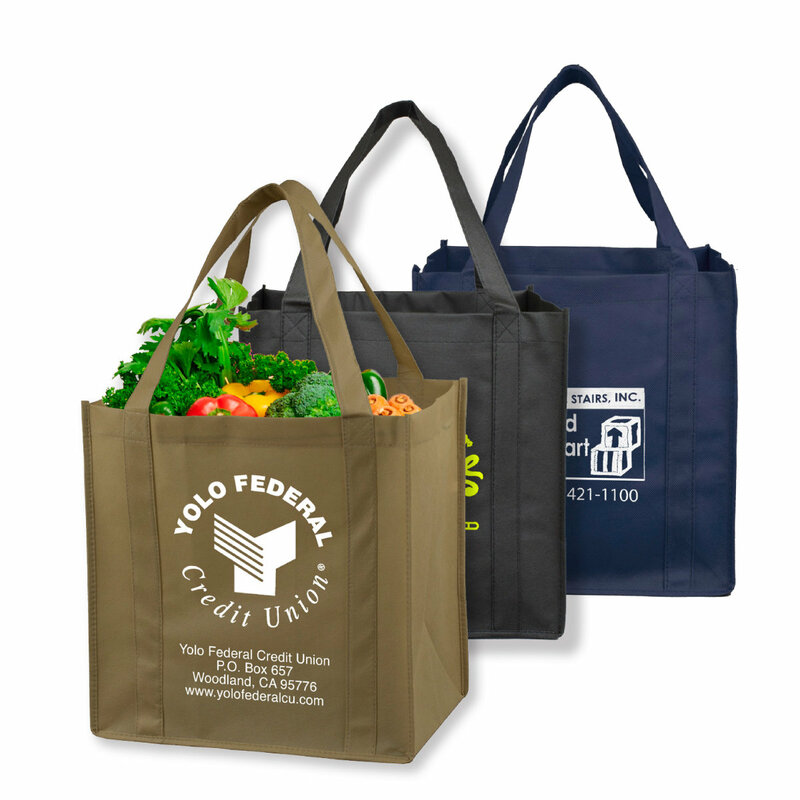 This strong 80GSM non-woven polypropylene shopping tote bag is recyclable and reusable. It features 20" long handle straps stitched the entire length of bag for reinforcement, an 8" W gusset, and a hard plastic bottom insert for extra reinforcement. Perfect for the environment! Reusable and Recyclable. Also available with a PhotoImage Full Color Imprint! Setup Charge: 55.00 per color, per location. PMS Color Match Charge: 32.00 per color, not available for 4 color process imprint. Click here for Standard PMS Color. 2nd Color/Location Imprint Add: 0.50 Plus Setup Charge. PhotoImage 4 Color Process Charge (#905): add 1.00 (G) running charge (minimum 200 pieces), plus 50.00 (G) Setup Charge, add 3 days production time. Pre Production Proof: Domestic Item: $45.00 (G). Production Time: 2-3 Days.4 Color Process Imprint Bags: $160 (G). Production Time: 5 Days. If revisions are made to any Pre Production proofs, a new pre production proof charge that includes any additional art, die or screen charges will apply.